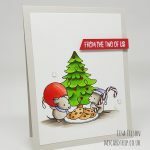 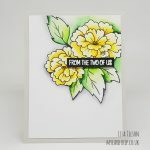 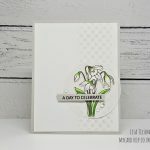 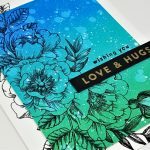 Hello there I have a couple of cards for you today using a set that I was sent recently by Picket Fence Studios. 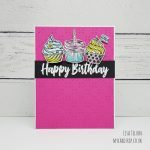 Both cards are made with the Cup Cake Love set. 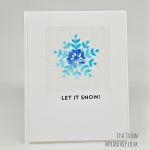 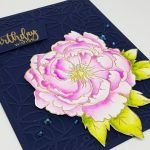 My first card was made by die-cutting a background from some SSS Doll Pink cardstock using a cover plate from Lil’Inker Designs….